Flexi, 8.5 x 9.5 in. / 132 pgs / 50 color. Edited with text by Hans Ulrich Obrist, Peter Pakesch, Denys Zacharopoulos. Foreword by Peter Pakesch. Text by Daniela Hammer-Tugendhat, Ingrid Rowland, Elisabeth Schlebrügge, Amy Sillman. This book documents the last exhibition project that Austrian painter Maria Lassnig (1919–2014) was able to plan personally with the curator Hans Ulrich Obrist. It gathers around 50 works—paintings and works on paper, especially watercolors—that deploy motifs from Greek mythology, also expressing characteristics typical of her work: the awareness of the body, the painterly rendering of the inner and outer world, as well as animal portraits and landscapes. 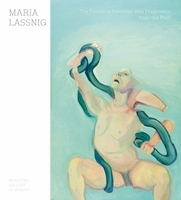 The Future Is Invented with Fragments from the Past includes contributions from leading scholars and artists discussing her unique visual idiom. 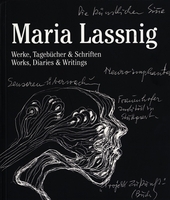 Text by Silvia Eiblmayr, Maria Lassnig, Laurence Rassel. FORMAT: Flexi, 8.5 x 9.5 in. / 132 pgs / 50 color.